Most of the time, when you enter Facebook sweepstakes, you have to Like the Facebook fan page that is running that sweepstakes. Once the giveaway is over, you may want to Unlike the Facebook page if you aren’t planning on following them in the future. First, before you go unliking a Facebook page, you may want to consider staying a fan because many companies and bloggers will host another giveaway in the near future and you could miss it. If you are going to Unlike a Facebook page, here is a simple way to unlike a bunch of pages at the same time. 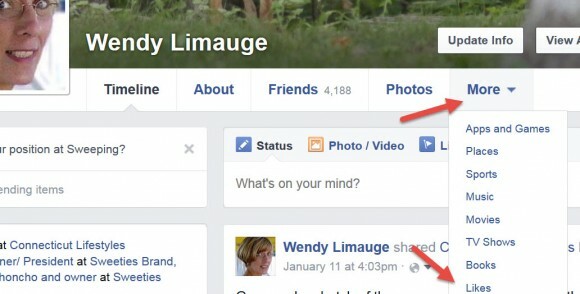 Go to Facebook.com and click on your name at the top so you are seeing your personal Facebook page. 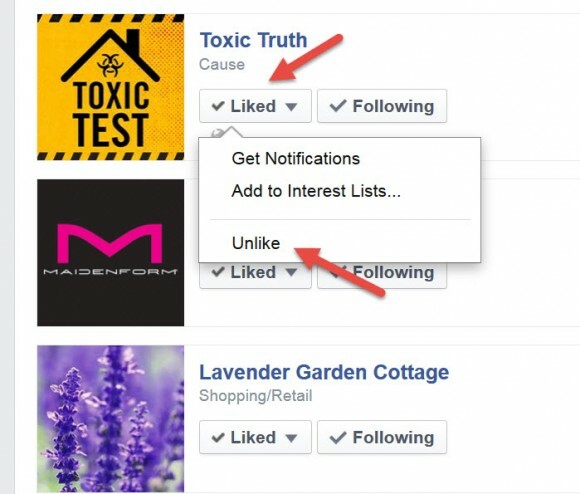 Hover over any of the Liked options next to pages you follow and then click Unlike. If you make a mistake and Unlike a fan page you really wanted to keep, just click the Like button that appears once you Unlike the page. You can also continue to like a page but not receive notification by clicking on the Following button instead. Oh I cannot thank you enough for this post. I was just this morning trying to figure out how to go back and unlike pages because I’ve reached my 5000 like limit and it wont let me like new pages, which means I can’t enter new sweeps. This is God sent! !1 I have been wanting to know if there was a way to do unlike these contest pages forever. But if I have to do it again,, Is there link I can go to and repeat the unliking? Thank You, Thank You, Thank You!!!!!! I was able to delete likes with names from A-D and then it ended. How do I unlike E-Z? Thanks.